It’s that time again for me to predict what I think will happen for Sea-Doo in 2019. A lot has happened in recent years, and you would think nothing significant will happen for 2019 but they’ve been known to surprise us before. Some of what they’re going to do is common sense but there a few things that stuck out. Let’s go over that. Update: New post on the good, the bad, and the ugly for the 2019 Sea-Doo line up. Sea-Doo has made the Polytec hull available for the 90HP GTI, and it has done really well. It’s at a great price point, and you get a comfortable ride with plenty of storage. A real winner if you ask me. In 2018 they moved the Wake 155, which is a GTI hull, to the Polytec hull. This is them slowly moving over and the Wake Model is the best one to test it out on. The Wake is very popular and takes a lot of abuse from pull sports activities. It only makes sense to move the rest of the GTI line up to the Polytec hull. This even might go under the radar or create a slow transition where it takes several years. But we can for sure say the GTI is getting the new bottom Polytec hull on all models. This will for sure give Yamaha a run for there money as the lighter hull means better gas mileage and more bottom end power because it doesn’t have to carry as much weight. Ski-Doo, which is apart of BRP who also owns Sea-Doo has a new ACE engine. It’s the same engine that is in the Sea-Doo Spark but now with a Turbo. Does this mean there will be a Spark-X with a Turbo from the factory? But this engine could be used for something else in the Sea-Doo line up. You see, the 130HP and 155HP engine which is really the same engine but tuned differently have not gotten much love lately. The 260HP was replaced by the 300HP ACE, and the 215HP was replaced by the 230HP ACE. Even the Spark has an ACE engine in it. The 130HP and 155HP have been the same engine block and design since 2002, its time for a new one. The new 150HP Turbo ACE engine would be perfect, and it makes perfect sense. The GTI 90 has the mounting spots for the smaller ACE engine that would fit this 150HP Turbo, so the manufacturing is already there. The ACE 150HP Turbo is smaller and all around better engine with its modern manufacturing and design. It screams use me in a Sea-Doo! The best part is that they claim very little turbo lag which is a big deal, especially for a watercraft. So the GTI SE 155 will be a “GTI SE 150 Turbo”, or maybe “GTI 150 Turbo” or keep it simple with “GTI Turbo.” The last one sounds really cool. What about the 130HP? Well, its the odd stepchild of the lineup. The GTI 90 is more affordable, and people will gravitate to it more. If they want to jump up, the GTI SE 155 seems more attractive since you’re spending more might as well get the bigger engine. It’s a good chance the GTI 130 and GTI SE 130 will go away. Too many units in the mix. They might keep the GTI SE which is the same ski but with the Polytec hull and 90HP engine. Sea-Doo released the iS models in 2009 and showed off the new body styles of the GTX and RXT that would be released in 2010. Then in 2011 Sea-Doo released the new GTI body. This could mean in 2019 Sea-Doo could be updating the GTI body. Going fully Polytec with a new top body would do well. I don’t think we’ll get the same lid design we find on the GTX and RXT where it opens from the sitting position but a new body could be possible. If Sea-Doo brings that 150HP turbo engine to the GTI, they could really change things up. The engine is smaller so this could mean moving things around to give you more front storage. Or better yet, give you a huge glove box. I vote for more glove box storage! I’m sure we won’t get the lounge idea that the GTX and RXT has, but we’ll for sure get the accessories mounting points. If anything, the motivation to get the mounting points for the GTI which is a big seller is a must have for Sea-Doo right now. These accessories are great ways to make extra money for them and opens the door for more accessories to buy down the line. The GTX and RXT line up were recently given a new hull in 2018, so I very much doubt we’ll see anything beyond a color change on them. I’ve been told picking the colors for the Sea-Doo line up is the hardest parts of making new jet skis. We’ve got hulls so big that you barely get wet and take the chop amazingly. We’ve got brakes, neutral, and so many accessories you don’t know what to do with. What we have now is quite good, in fact, it’s fantastic. I would have never thought we would have brakes on a freaking jet ski yet alone 300HP. It begs the question – what more can they do? The next big thing for watercraft is going to be technology. Tech to make them safer and easier to drive. Smartphone connections that you only see in your car will be more commonplace on watercraft. GPS and Bluetooth doing things you never thought were possible. From a practical point, color touch screens don’t make much sense. It’s bright outside, and you need to see the screen clearly especially when wearing sunglasses. And a touchscreen is hard to use when jumping waves or floating in the rough water, but that doesn’t mean it’s not coming. Everyone I talk to wants touchscreens or a color readout on their watercraft, so it’s bound to happen. It does make sense for navigation and BRP has done it well in the Can-Am Spyder line up. If anything, that would be what they use in the jet skis with the joystick navigation. Having the controls of your smartphone along with the GPS map of the nearest gas stations for boats would be huge. We actually used to have GPS navigation on the GTX Limited models back before 2009, but no one used them. It was a Garmin handheld device that most of my customers never even took out the box yet alone put batteries in them. Having the GPS already set up and built into the machine will see more people using them. With Smartphones becoming as big as they are I would not be surprised if you could use them as a second screen. I do since I’m so prone to get lost, even did a post about how I use my phone for GPS navigation on the lake. Your car has sensors that help prevent a crash and jet skis often follow what car companies do. The problem is that the same sensors that work for your car won’t work for your jet ski. The waves and splashing will keep these from working. What could work are GPS and Bluetooth. Most of the jet skis you see today use GPS to tell how fast they’re going. Bluetooth or some other signal could continuously be broadcasted to other boats that have a similar system to let them know how fast and where they are to avoid crashing. This system could work well for a “follow the leader” situation if you do long rides. When you set it up you have one person who is the leader of the group and you follow there signal. Sonar or other systems that can piece through water could be used instead for the crash prevention system. This feels out there, but I said the same thing about brakes on a jet ski. No matter what tech they come out, the simple stuff like an impeller protector will always be a must have. Oh boy, a GTR 230 with a Ploy-tec underbody would be amazing! I’m a Sea-Doo guy, but Yamaha VXR is killing this machine. Yamaha has made a naturally aspirated engine that can keep up with Sea-Doo’s supercharged engine, come on. The GTR needs an advantage, and that would come in a lighter hull. I’m just giddy with joy in thinking a GTR will get the Polytec hull. At the same time, I’m sad because I don’t think it will truly happen. Sure the GTI line up will get the Polytec hull, but the GTR will for sure be last or not even get it at all. The power to weight ratio of a GTR with a Polytec hull would be so freaking fun, especially at that price point. Sea-Doo would not be able to keep them in stock. They could at least meet us in the middle and give the Polytec to the GTR-X. The RXP models are slow to change, body wise I would say. Its what the racers use so a lot more time and design go into them so don’t expect anything new in 2019. Maybe 2020 or 2021 we’ll see something, but I’m not holding my breath for 2019. Update: Yamaha has released the 2019 models. Check out my post that goes over the good, the bad, and the ugly for 2019 Yamaha Waverunner. I feel like Yamaha kind of got lazy and did not expect Sea-Doo to come out with brakes and all this other tech. They’ve been slowly catching up and doing quite well so far. It seems like they’ve gotten themselves in gear and trying newer things and 2019 could be there year to push ahead of Sea-Doo. I have a feeling Yamaha will do the color screens first just to get the jump on Sea-Doo. I also feel like Yamaha sees accessories as value added and will be more willing to do more packages as they did with the Limited models with there tubes and such. Yamaha adding speakers to there 2019 or at least 2020 line up is for sure to happen. Who knows what they’re going to do, but I do feel like they’re pissed and ready to go all out and show that they can be a leader in tech and features. This is good for everyone because we don’t need lazy innovation, we want stuff to blow our minds and competition is always good for the jet ski manufacturers. The Yamaha FX line up is due for a change for their body. I had this stupid idea running through my head about what Yamaha could do to stand out and beat Sea-Doo. For 2018 Sea-Doo came out with the new hull that was super stable, and this is a big deal to all riders. So what could Yamaha do? If you did not laugh at that one, then you’ve not been around watercraft long. Both Sea-Doo and Yamaha had 4-seater watercraft for a few years in the early 2000’s. They did okay but not really popular. But with this new divide being created where half the market wants nimble small watercraft and the other half wanting large and stable it does make you think about the 4-seaters coming back. They could do it better this time since the old 4-seaters were these big things with underpowered engines. We now have over powerful engines and new tech that makes hulls lighter and stronger. It’s almost a perfect storm to bring back the 4-seater. I doubt the FX line up will be 4-seaters, but size wise they might get close. They for sure might consider bringing back the huge amount of storage these things had. If you ask me, it feels like Kawasaki has gone stagnant. I’m not saying they make bad watercraft, but they have not done anything “new” in a long time. Kawasaki still lacks brakes, starting in neutral, and all the other must-have features that both Sea-Doo and Yamaha have. There’s been talk about Kawasaki making a Spark version themselves which would be awesome. We just need something, anything from Kawasaki. Leave a comment below to let me know what you think the 2019 watercraft line up is going to be. I think the three biggest complaints of the Spark are the seat, handlebars, small fuel tank. In 2019 I’d like to see Sea-Doo come out with a Spark touring seat with more padding, redesign the handlebars, offer an extended range fuel tank. The 900 ACE turbo is would make a lot of sense in the GTI. If I’m correct the turbo engine has been available in the Maverick SxS for two years. With its introduction into the Ski-Doo line up I think it will make its way into a Sea-Doo. I agree the models in the Rec-Lite category don’t have the best seats and a touring seat would be nice. The Maverick has had a turbo ACE engine but its very different than the 900 ACE. I look forward to what they’re going to do. They do make a spark with a bigger seat, more comfortable handlebars and a bigger tank. Its called the GTS/GTI(SE) models with the polytec hull. The spark is great for what it is but asking to make anything bigger will take away from that. You want something bigger get a GTS. Agreed. Get the GTS. But the turbo upgrade would be great. Or maybe the 1503NA Rotax as third option engine on the Spark. Seems possible to fit. 3 cylinders. Compact. 155 HP normally aspirated …. I’m dying to find out if any of your speculation comes true, I’ll be in the market for a 2018 but not until spring or early summer. Can’t wait! When will we know what the 2019’s are gonna offer? I second that question. I am looking at a 2019 Wake 155, but depending on changes/updates that may or may not happen with the new model year, I may opt for a leftover 2018 and save a few $. When does Sea-Doo typically release details on its upcoming models? It should be around September 9th-12th when Sea-Doo releases the new models. Thanks for the info! Can’t wait. Fingers crossed for cool colors. True, but Sea-Doo has made water-cooled intercoolers for there 215HP and up watercraft before and keep doing so today. Since this engine is smaller then what the current engine in the 130 or 155 adding these extras would not be that big of an issue. Without a doubt, they have a prototype with this engine in it right now and probably has had it for several years. Sea-Doo usually plans 5 years in advance so who knows the crazy stuff they’re working on now. Honda used a turbocharged engine in the Aquatrax and that was more than 10 years ago. Nice predictions. I agree as well. I think that it would benefit Seadoo a lot if they “matured” the Spark a bit more. Spark 110 as standard factory tuned or maybe the 1503 NA engine to fit somehow to boast 155hp for a stock normal aspirated Spark. I see great possibilities for the Spark, I think in time it would be comparable to the highly customizable and popular Honda Civic for tuners. Maturing the Spark with a stronger engine out of the box will prevent users outgrow the entry level Spark too quick. It will me more an entry level ski to keep. A sustainable rec lite class. The Polytec hull for the GTI lineup would be great, by implementing this and possibly dropping the price somewhat to cater the more mature buyers such as young families. The lighter hull will also add more aggression to the GTI models 130 and 155. 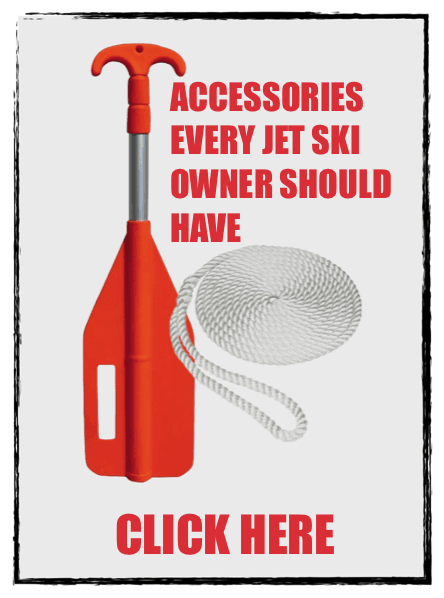 This would be great for the PWC fishing market as you tend to keep your ski as simple as possible as you are riding to remote locations in search of fish. Maybe options as flush/push cleats and PWC fishing racks from Seadoo will definitely give Seadoo an edge in this market segment. It would be great and still affordable if they put the turbo in the SEA-DOO Spark! It is needed and the design and mounts/engineering are their, so please throw it in as an optional upgrade. It would be worth $1500-2000 IMHO! Agreed! Mature up the Spark so we don’t outgrow it in terms of speed. Turbo upgrade or even the 1503NA engine found in the GTI SE instead of the 900ACE HO. 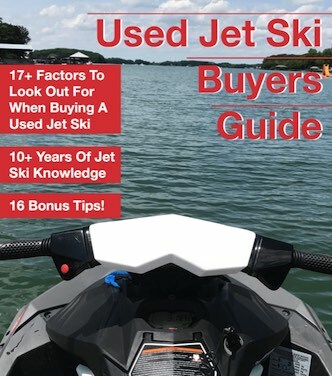 So it looks like the 2019 SeaDoos lineup has been released with many of the changes and updates many thought were coming. happened. Of course new colors for all models EXCEPT the Wake, which is what I am considering buying but wanted different colors for! Dang it!!! The GTX Limited are the same colors too – I don’t like the 2018 colors!! But yes. The green color is off. If they wanted to “Camo” it in some way for fishermen going to creeks they rather used the GTX limited Brown/Grey IMO. It seems to me like Sea Doo dropped the ball this year. Maybe I was hoping for too much, but I am completely upset. From what I gathered from looking at their website….the FishPro model (which does not appeal to me in the least), a portable speaker that is backwards compatible with older model Sparks, all models have the LinQ system now. Not much is said, but a couple of models have a newer LCD screen. I was really looking for something on the GTX Ltd series. Hoping for a colour change (not a fan of the Equestrian Brown at all), maybe a bigger gas tank and a touch screen (or more controls through the screen….maybe music controls?) But, they pretty much ignored the model completely. Makes me wonder whether they can retrofit the new LCD screen on any left over 2018s? Would not put it past them. I can’t believe that Sea Doo tried to hype the changes. Either their marketing team or their R&D team completely dropped the ball on a whole year’s worth of models. I am sure they will sell a few of the FishPro models. But, most that are into fishing are going to be in a boat anyway. So, it really comes down to a detachable speaker and a slightly bigger LCD screen that is not even a touch screen. Now I have to reconsider the Yamaha FX Cruiser model. At least they made some changes for 2019. Mmm… I think they did a superb job (!) with the Fishpro by setting the standard. In my opinion somewhat on the high side regarding the pricing. Because it is still a GTI modified to fish with the 1503NA Rotax. It would definitely be better priced around $11.999. The current price is almost a boat worth. But I disagree that not much people will purchase. Fishing from a ski has many benefits a boat does not have. I guess we will have to see what the sales numbers will be after the first year. I feel that guys that have already spent good money on a fishing boat will not turn around and spend more on a FishPro. There might be a few people that will trade in their current model, if fishing is something they always wanted to do. Someone mentioned the colour combination. They are more than welcome to take the Equestrian Brown from the GTX Ltd series. I would rather have something sharp looking for a SeaDoo that I want to purchase. I watched the introduction of the models last night. Did I hear correctly, that the speaker is going to be about $650 US? Holy Crap! Sure hope it does not unclip on a dunk in the water. I just saw the new 2019 Line up and was a little let down by the lack of luster in the newer models. That being said I am over the moon with the 2018 line up as the changes they incorporated into the hull design are a huge improvement. I purchased a 2018 Wake Pro 230 and I can honestly say that I do not see a need for a new machine for quite awhile. The performance when in Sport mode is awesome! I have yet to come across a 300 but anything else doesn’t stand a chance against this machine on my lake. I love the blue tooth audio as well as the room, handling and of course the style. If I had to change anything it would be the size of the fuel tank, (60L), as I do a lot of tow sports and as you can imagine that I have to fill up quite often, I am sure they want me to by the linQ reserve tank but around $350 it is kind of expensive. I do wish they changed the colours for the Wake in 2019 just so my 2018 would be more recognisable but either way I give this machine a 10 out of 10, make sure to hold on tight!! !